You and I both know it's not easy finding a babysitter or nanny. Trusting someone else to help raise your child is a big deal. ASmartNanny is owned and operated by Lisa DeRienzo. She helps place skilled nannies with amazing families. Some people would consider this a super power. ASmartNanny.com is an online child-care placement agency that provides college-educated nannies, babysitters and tutors. We serve Westchester County, New York and Greenwich, Connecticut, with plans to expand nationally. 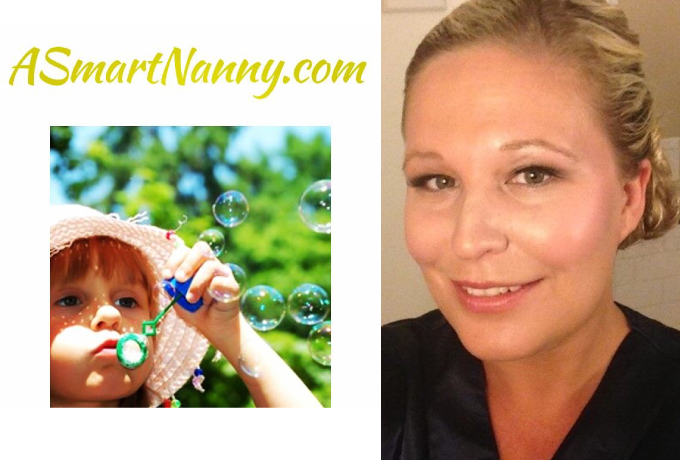 I started ASmartNanny in February 2013 when I was just 28 years old. When I started ASmartNanny I was an unemployed teacher who had just picked up a nanny job myself. I lucked out and started working for an amazing family, so many of my friends and family members asked me to help them find a job as well. The best thing about owning your own business is that you can do everything yourself and have such a great sense of pride. The worst thing about owning your own business is that it's your name associated with the business. When it comes down to it, the only person that really cares about your business is you. What is the number one quality of a great nanny? Compassion. It is so important for a nanny to be compassionate. If he or she sees that a child is sad, they should feel that sadness too and alleviate it from the child. My day planner. I pretty much own every technological innovation but I'm old school in the sense that I physically have to write everything down on paper in order to remember it. Any advice for someone wanting to become a nanny? Go for it. It is such a rewarding, fulfilling job to be able to help an amazing family raise their children. There is no better feeling of accomplishment at the end of each day. What makes you get up every morning? What gives you inspiration? Knowing that my business isn't going to run itself without me. I wake up thinking "today is a new day so let me do my best" even if the day before wasn't great. Every morning is another chance to make a new day great! Lisa, thank you for sharing your small business with us. Because my readers are fabulous, she is offering a 25% discount on any semi-annual or annual Smart Sitter Membership! Just mention this post. This is not a sponsored post. If you have a small business that you would like to be featured, contact me.